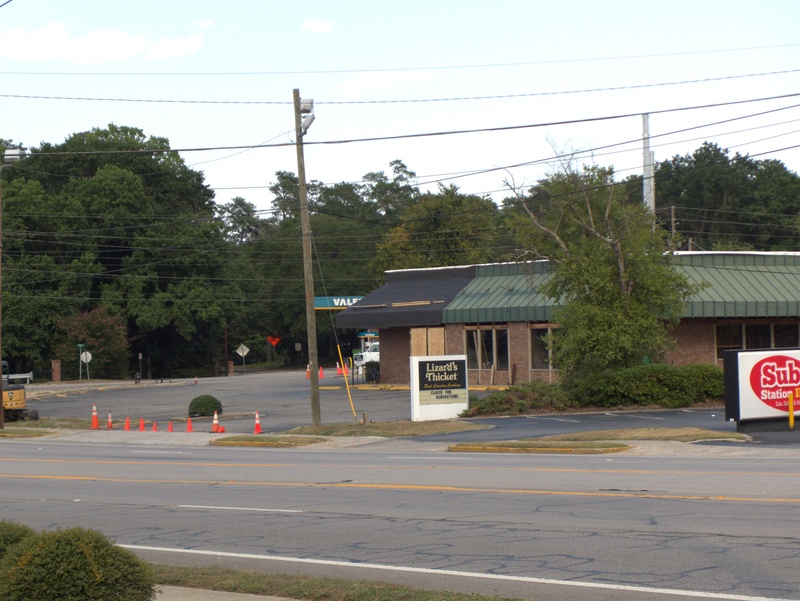 Looks like the Lizard's Thicket remodeling effort that has revamped several of their stores is continuing. 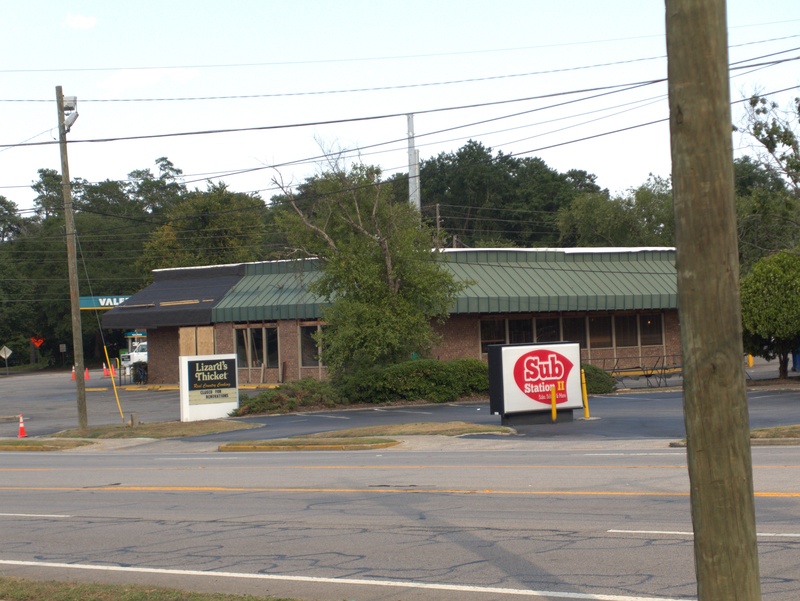 This one is at the corner of Knox Abbott Drive & State Street, and was some sort of restaurant before, though not a Shoney's like the Forest Drive and Beltline locations. I've eaten there before, and don't recall any particular building issues, but I guess everything has its time. UPDATE 8 April 2019 -- I don't have a picture, but this location is open again, and has been for a while. Subscribe to comments with RSS or TrackBack to 'Lizard's Thicket, 501 Knox Abbott Drive: July 2018 (open again)'. This one has started to look a bit dated. I like it, but the service is very hit or miss. This location was originally a Grandy's, like the other Lizard's Thicket location on Broad River Rd near Dutch Square. I remember it being a Duff's back in the late '70's/early '80's. (fuzzy child memories) Cool to see it being updated instead of being demolished. ted - you are correct about that location at Parkland being a Duff's. I think there were a few scattered around town in it's heyday. I was pretty young but it was a memorable restaurant. All you can eat and the bar revolved, so you just had to stand in one place and the food would come to you. A plus side to this was that the food line revolved back into the kitchen, so they could fill up food containers before it came back out. JB is correct, this was originally a Grandy's.